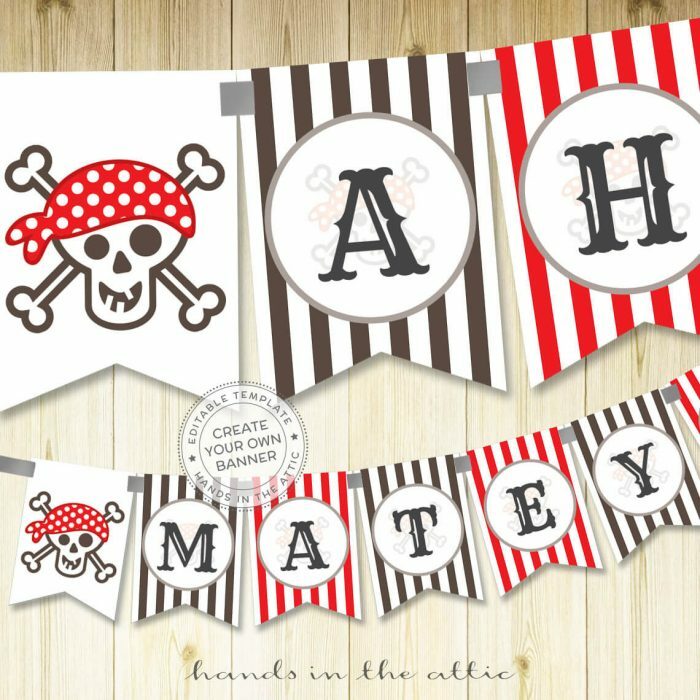 Ahoy-matey! 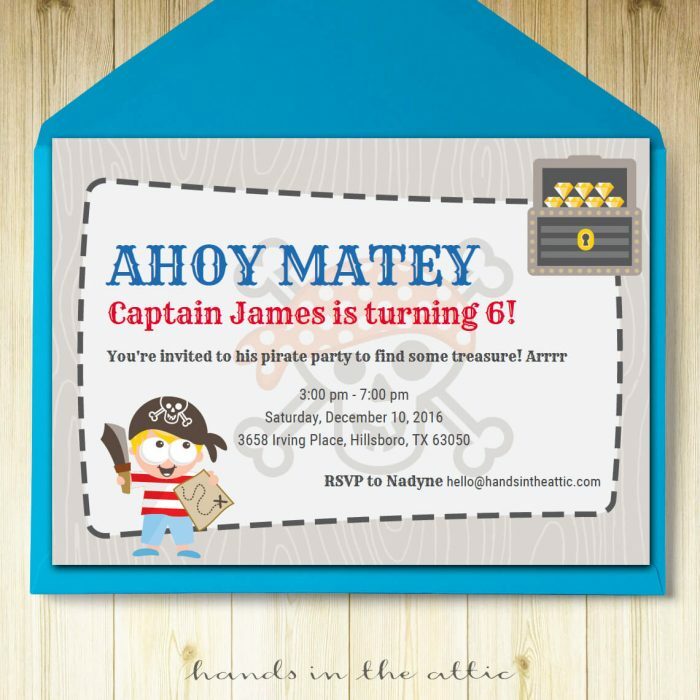 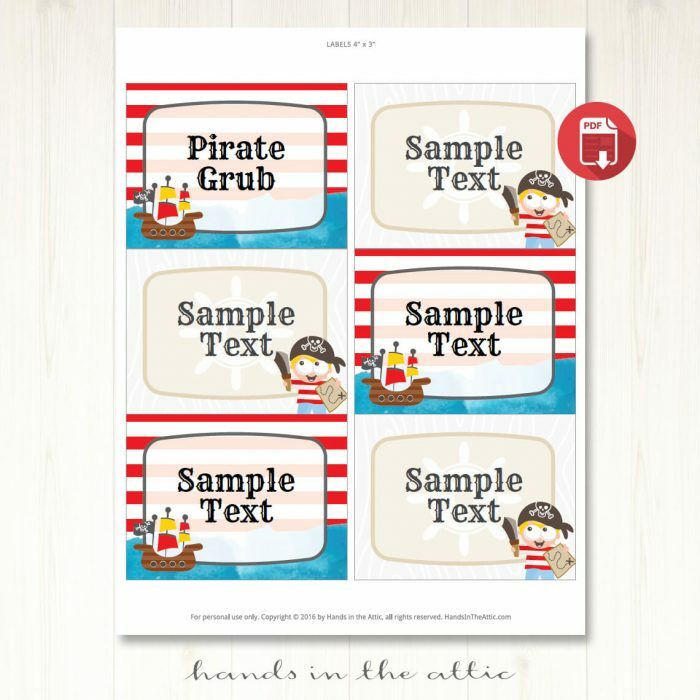 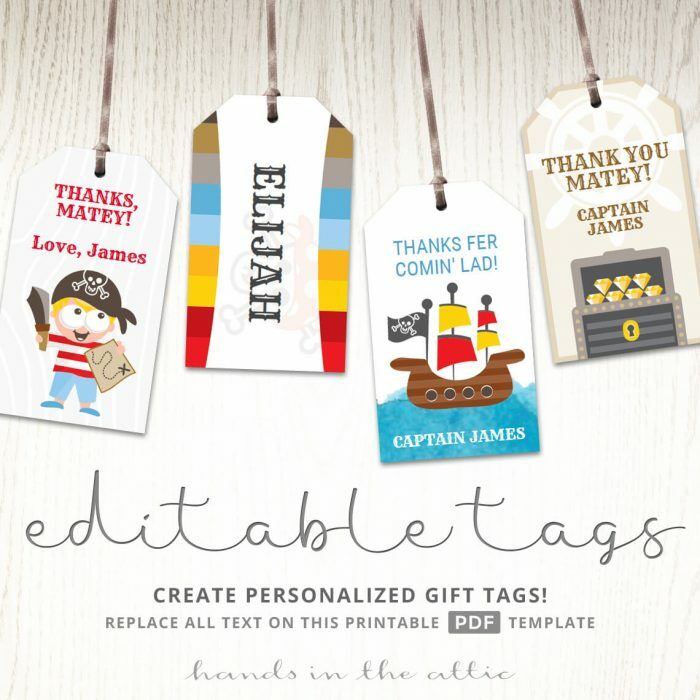 Decorate your child’s pirate birthday party with our printable Pirate Birthday Party Tent Cards. 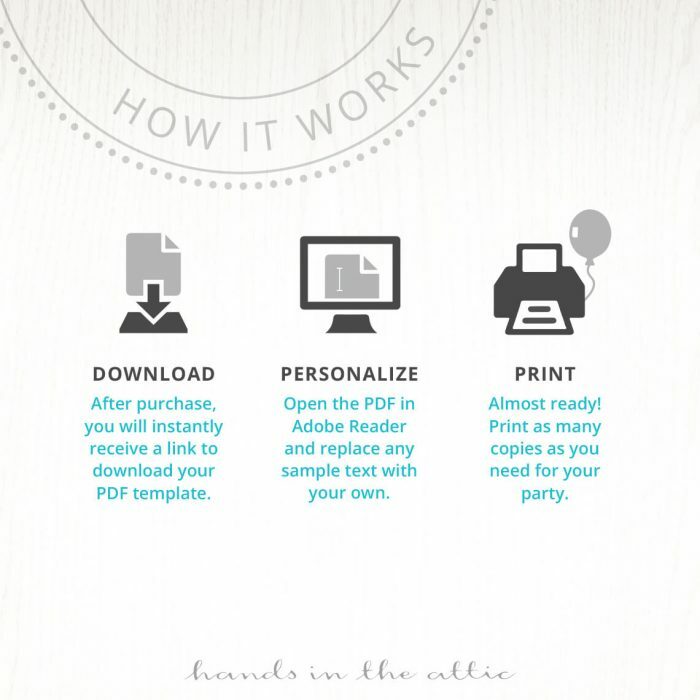 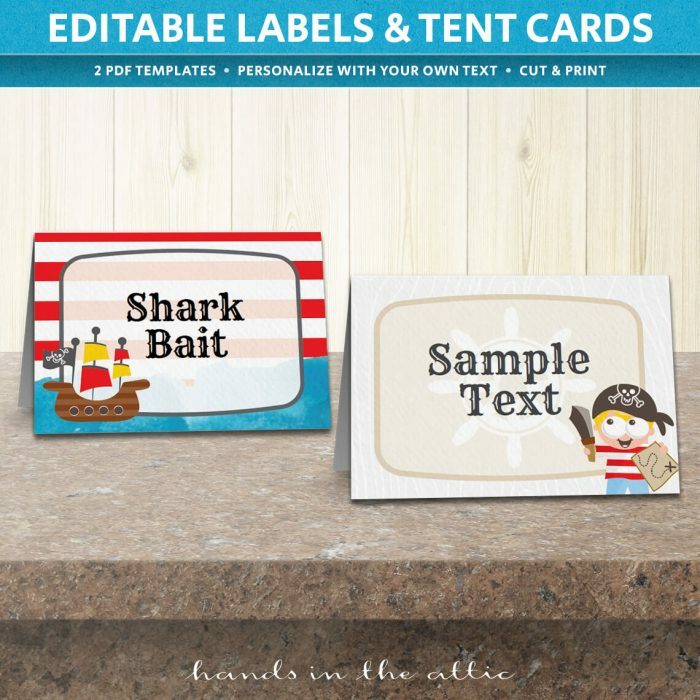 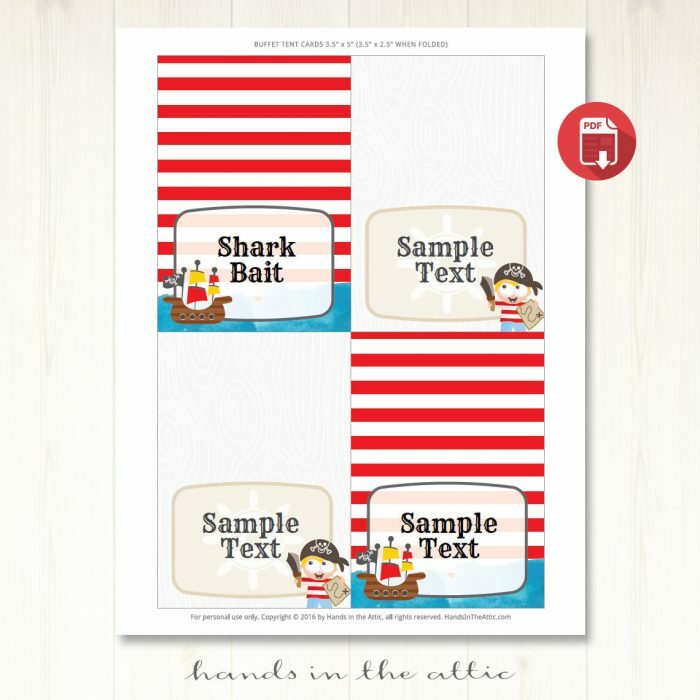 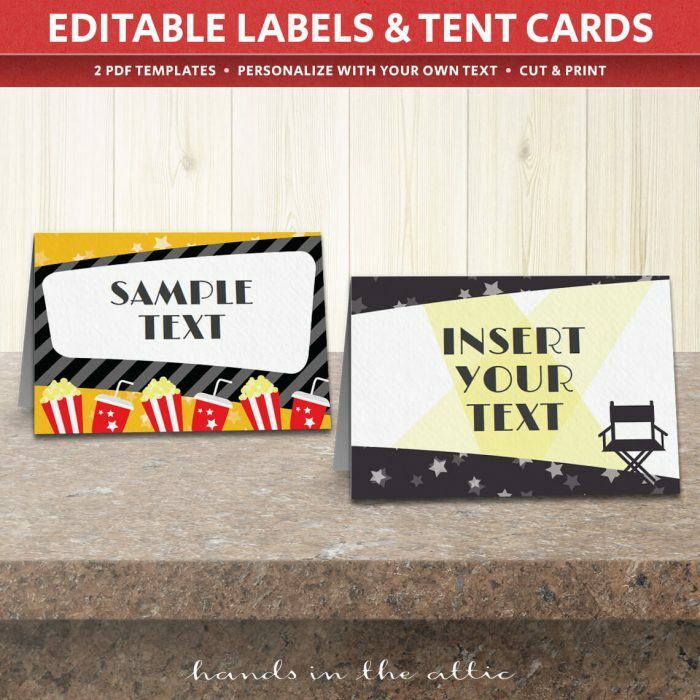 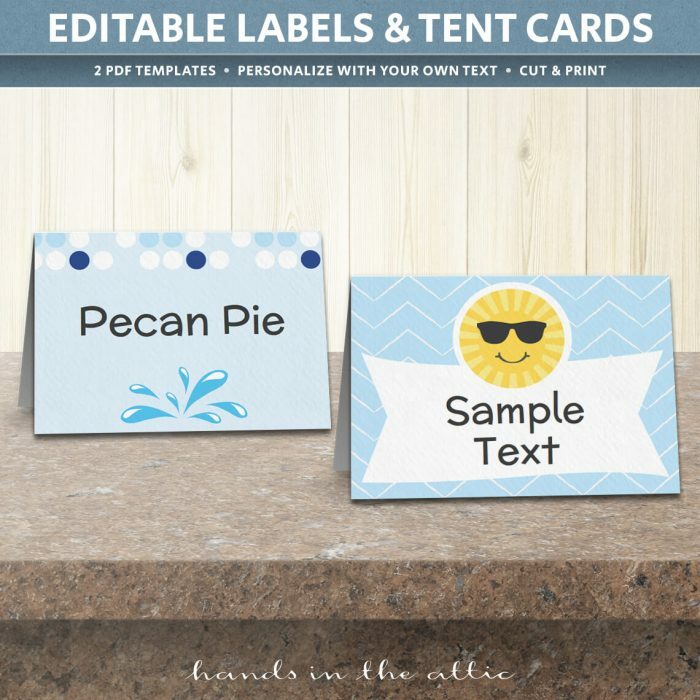 These are editable PDF templates to easily create labels & buffet tent cards for party drinks, food, snacks, etc.